Famous for its Rietina festival, Campobello di Licata is a wonder. Surrounded by the Sicilian hill and the countryside, this small village of Sicily is like one in a fairytale. Complemented to be one of the most authentic village of Sicily, it promises to take you back in time and give you a glimpse of ‘what was’. Campobello di Licata is known for its fresh produce, rich culture and recipes handed down over generations. It is safe to say that the exotic food that you get here, is unmatched by anything you eat anywhere else in Italy. Every dish feels warm like family, smells cozy like your home and tastes like the history of the town, rich and spectacular. If you plan your trip in August, don’t miss out on the Rietina festival. It is an explosion of colors with more than 60 carts parading, decorated with paintings, feathers and more. 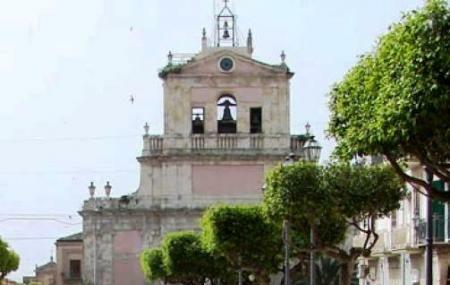 While in town you can also visit the Duca Palace, the Lomia Palace, the Church of Addolorata and the Mother Church of San Giovanni Battista. Love this? Explore the entire list of places to visit in Agrigento before you plan your trip. Fancy a good night's sleep after a tiring day? Check out where to stay in Agrigento and book an accommodation of your choice. How popular is Campobello Di Licata? People normally club together Spiaggia Di Punta Bianca and Fabbriche Chiaramontane while planning their visit to Campobello Di Licata.